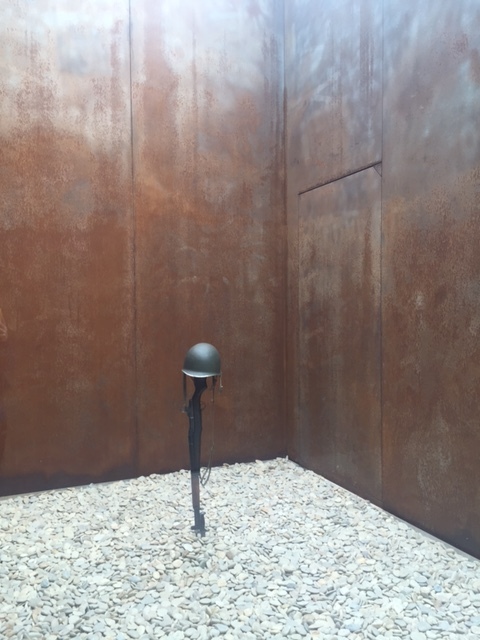 How appropriate that I am writing this post just before Memorial Day, a day for remembrance of those who died in active military service. 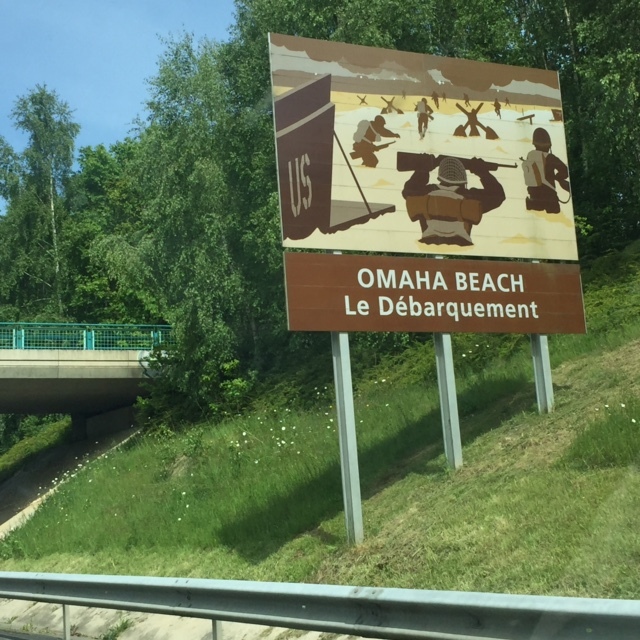 The drive from Reims to Normandy was a long one – about 5 and a half hours. 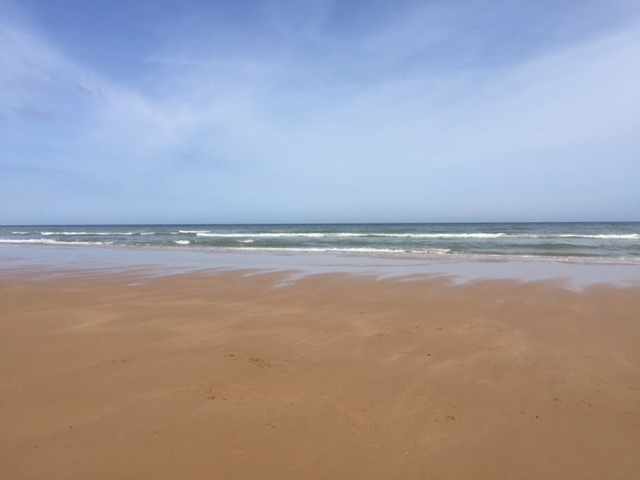 We only had ONE day in Normandy, so we needed to make it worthwhile. We got up at 5am and got on the road. Evan is a fantastic European driver. He drove us around in Ireland, where they drive on the other side of the road, so I totally trusted him in France (they drive on our side). We had no GPS, so we were kind of just wingin’ it. We finally made it to Normandy, after a wild search for coffee and only getting on a few wrong highways. Side note: Let me stop here and talk a bit about my knowledge of DDay, and when I got so into this. Two years ago, I knew the term DDay, I even knew the date (solely because it’s exactly one month before my birthday). I didn’t know nearly what I should have to be able to appreciate the men who gave their lives for our country that day. When we were planning a trip to France, Evan, the WWII buff, HAD to go to Normandy, which I was totally open to. However, I knew it wouldn’t be as meaningful for me to go there having such little knowledge, so I changed that. I bought the book “The Longest Day,” by Cornelius Ryan. I thought it was going to be a difficult book for me to get through, since my typical genre is love/romance/comedy. This book was amazing and I got completely absorbed in it. I learned so much, gained an interest, cried a lot, and could not put it down. This totally got me interesting in all things DDay, and WWII. Next, we went directly to the Normandy American Cemetery and Memorial. 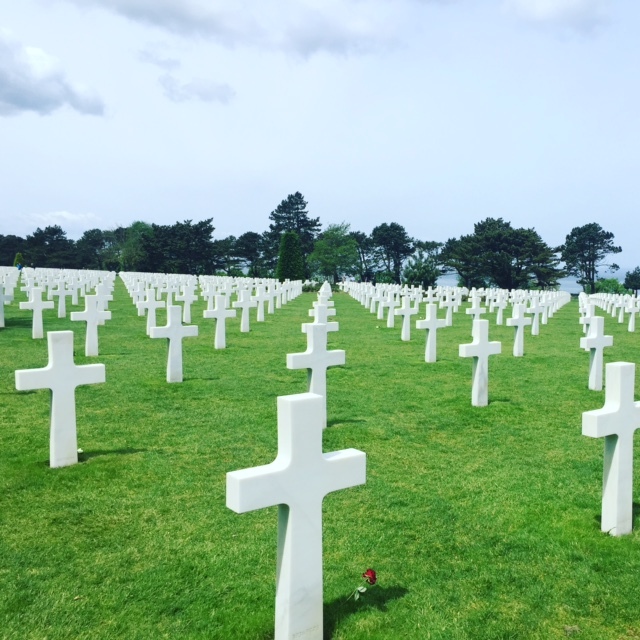 This took my breath away to see how many gravestones are here – over 9,000 Americans. They keep the grounds in immaculate condition. I was surprised that every stone has the name, and the troops are actually buried there. Previously, I thought it was just a memorial, but it is actually a cemetery and the gravestones have their name, which state they were from, the date that they passed, and which unit they were part of. There were a few we saw that the troop was unidentifiable, and the stone read “Here rests in honored glory a comrade in arms known but to God.” It was incredibly moving to be here. 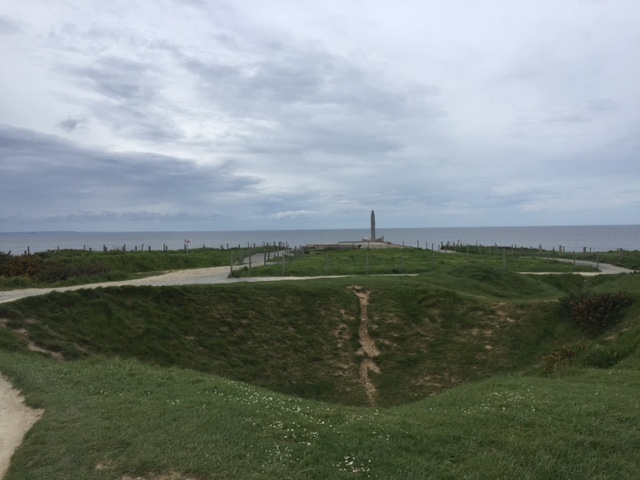 Our final stop was Pointe du Hoc, where U.S. troops did what was considered the impossible and entered the enemy territory by scaling the cliffs. The U.S. bombed this area five times before DDay, and the massive holes from the explosions are still there today — they are everywhere. It made me incredibly proud to be an American to see all of these sites. 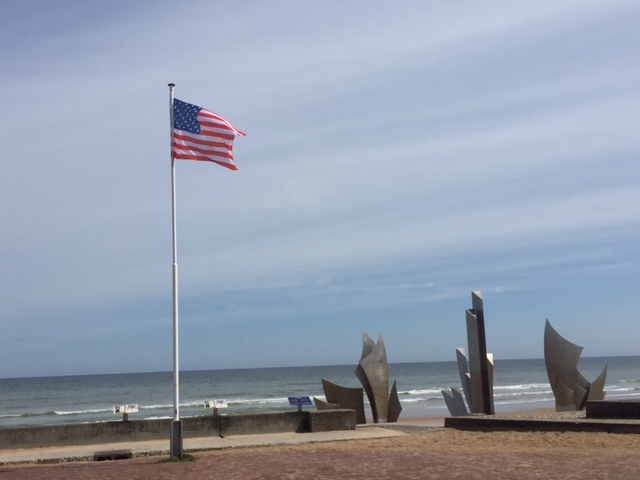 Many restaurants and homes in the Normandy area still today fly the American flag. It is amazing to think back to those dark days for the people in France, and how the flag gave them hope, and in the end gave them their freedoms back. Please take a moment this Memorial Day weekend to give thanks and remember the brave men and women who have given their lives for our country and our freedom. I’ve posted the same pics on my blog and I have to say. I’m a more “liberal” American. 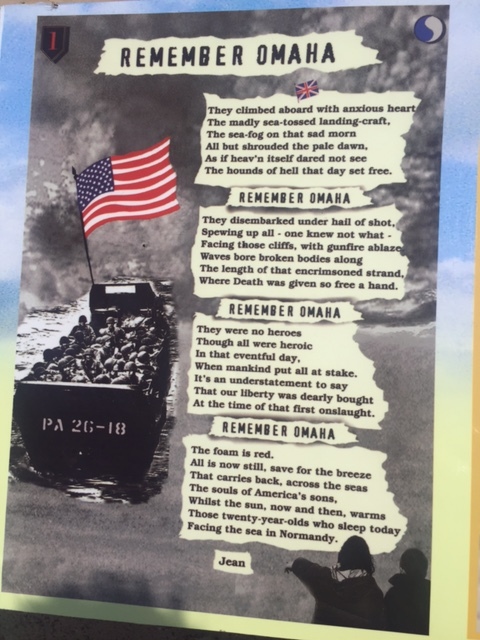 But the day when I visited Normandy beach–it was a cold, damp, gray and chilly day in February. I stood on the beach and cried. It truly was one of the most emotional visits I’ve ever had. Many of my friends and relatives will challenge my “American Patriotism”. And when they do, I ask them if they’ve ever visited Normandy. When they say “no”. I rest my case.